How can you find the room to come up with creative ideas under a tough boss? In this episode of Mastering Innovation on Sirius XM Channel 132, Business Radio Powered by The Wharton School, guest Mary Abbajay, author of Managing Up: How to Move up, Win at Work, and Succeed with Any Type of Boss, shared key insights on how to unlock innovative solutions and succeed in your professional life, no matter what kind of boss you have. Instead of waiting for the perfect boss to come around, Abbajay stresses the importance of being flexible, meeting your boss where they are, and systematically building trust. Once you have gained trust and met the required metrics, you then have the autonomy to present innovative solutions that benefit both the organization and your personal career. The same goes for peer relationships: For innovation to happen, you must learn to work with people with vastly different experiences and perspectives who may disagree with you. 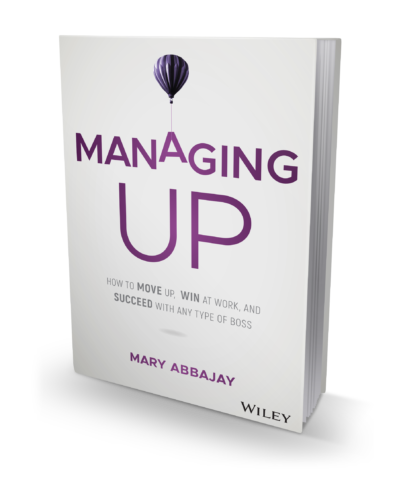 On the management side, Abbajay suggests that leaders look for ways to empower their followers and be transparent about what they want and need. Lastly, Abbajay touches upon gathering the courage to quit a toxic work environment. Mary Abbajay: Let’s say that you’re my boss and you’re very detail-oriented and metric-oriented, and you like things laid down and you want a process. And let’s say I don’t work that way. So then if I’m working for you and I like my job and I like the company, I have to make a choice, right? I have to either decide if I’m going to give you what you need because you are the boss, or I’m going to sit there and complain and let my career go nowhere. So I’m going to choose to meet you where you are. I’m going to choose to create the metrics or the details that are going to make you happy so that you can trust me so then I can also start to color outside the box a little bit, outside the lines. But I can’t do that if you don’t have confidence that I’m at least meeting the metrics that are most important to you. Harbir Singh: So part of what you’re saying is it’s very important to build credibility as an individual and when you do that, you have more of an opportunity to create some space for yourself. But if you’re rebelling against it or if you feel that this is inconsistent with who you are, then it’s actually less effective. Abbajay: That’s exactly right. Let’s take a very common boss that people get upset about, which is the micromanager. In the workshops we do, the number one boss that people can’t stand is the micromanager. If you follow the neuroscience, all human beings have this need for autonomy, and when our need for autonomy butts up against our manager’s need for control and inclusion, we label that micromanaging. So when you have a micromanager boss, which is no fun, I get it, we can either complain about it and get all bitter or we could decide to actually give that boss what they want. All that boss wants is information, inclusion, and a little bit of control. I had this young woman in one of my workshops who had a micromanager. She decided that she was going to give her micromanager daily emails twice a day with complete updates of all of her projects and the status of them. It took her a lot of extra time, but after three months of doing that, she had complete autonomy and she started to dwindle down how much she was giving her. Once that manager trusted that that person was doing things the way that that manager wanted them, she then gave her a ton of autonomy. And that’s all it takes. It takes extra effort, but that’s what you have to figure out. You have to be pragmatic about your approach. Singh: So part of what you’re saying is that often people think about it just in terms of personality that, “I have this micromanager. I’m just not somebody who works well for micromanagers,” and that actually is not effective. You’re saying that anybody who understands how to navigate can actually be successful in this world. Abbajay: Yes, exactly. Because let’s look at the reality. Most organizations today still promote people into management and leadership based on technical skills. Not on being a good manager, having relational aptitude or managerial aptitude. In fact, Harvard Business Review just did another report saying that not only is this alive and well in America, it’s getting worse. So in your career, that means your odds of having a boss that isn’t perfect, a boss that really doesn’t understand how to lead people, are going to be pretty high. So then you have a choice in your career. Either you can learn to adapt to them and learn how to manage them and manage that situation, or you’re going to find yourself quitting a lot of jobs because you’re not going to have what we call the unicorn boss. Singh: Let’s talk a little bit about peer relationships. Right now, we’re talking about one-on-one. As we think about peers, how do we build a pathway for us to collectively innovate? Abbajay: If innovation comes from collaboration and diversity, by bringing different points of view to the table, different perspectives, different experiences, then your ability to work with different kinds of people in the workplace becomes very important for innovation. And it is the same sort of adaptive mentality that you’ll have with your boss that you’ll have with your peers. It could be something as simple as introverts learn to work well with extroverts. It could be something like any kind of personality type, like the big thinkers with the detail thinkers, the fast-paced and the patient people with the more moderate pace. The more that you can learn to adapt and appreciate other styles – whether they’re your peers, whether they are your bosses or whether they’re the people who are reporting to you – is an amazing skill. Leaders in the 21st century must be adaptable not only to the people but to the circumstances. 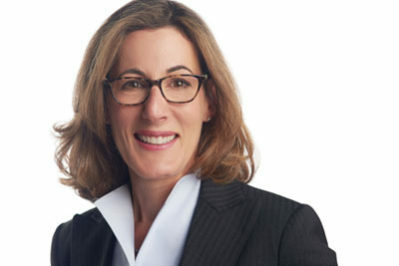 Mary Abbajay is president of Careerstone Group LLC, a woman-owned, full-service organizational and professional development company in Washington, D.C. Careerstone brings leading-edge talent development solutions to public and private-sector organizations, including Fortune 500 companies, nonprofits, and U.S. government agencies. Mary has 20 years’ experience in leadership positions and has founded several successful businesses in Washington, including Careerstone Group, the Toledo Lounge, and Crush Nightclub. You can find more at @MaryAbbajay.